Estella's Revenge: Nonfiction November, Week 1! I'm so excited that it's Nonfiction November! This is an event hosted by Lost in Books, Sophisticated Dorkiness, Regular Rumination, and Doing Dewey. Nonfiction tends to be a slump-busting genre for me, and this year is no exception. It's been a particularly slumpful year, and nonfiction always seems to be waiting in the wings to bail me out. I've read less nonfiction than usual this year, which is a shame. I really do love it, and it really does help even out my reading mojo. Luckily, I have quite a few nonfiction titles in the hopper...both physical copies and plenty hanging out on my ereader. This has been a serious year of comics reading for me, so I'm hoping to dive into some nonfiction on the subject. 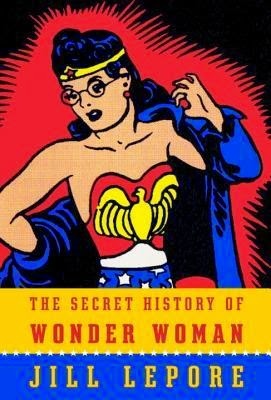 In particular, The Secret History of Wonder Woman, by Jill Lepore. What's on your docket for Nonfiction November? I love non fiction! I'm putting the Wonder Woman book on my list. Right now I'm reading "The MomShift" and "A Year of Writing Dangerously: 365 Days of Inspiration & Encouragement." I also just read "As You Wish" - all about the making of the Princess Bride. Great quick read. I started reading a bit of the Wonder Woman book, Elisa. Incredible detail! It looks like it'll be fascinating. Enjoy all your Nonfiction picks! Smoke Gets in Your Eyes sounds like the most unusual book ever, but I really liked Tender at the Bone. Hoping to participate in nonfiction November... still need to figure out what I'm going to read though. It kind of is, but it was SOOOO good. :) Tender at the Bone was just lovely. I read it during the April Readathon and it just flew by. I definitely want to read more of her memoirs. Smoke Gets In Your Eyes and Tender at the Bone both look SO good. I'm trying to focus on nonfic I already own for November (combining Nonfic Nov with a TBR challenge? ), but these are both on my list... someday! They are! Definitely among my faves of the year. Good idea to read what you already own. I'm trying to do the same. We'll see how it goes! 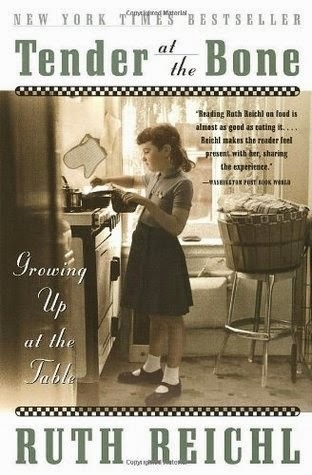 I read Reichl's Delicious and didn't love it, but I think I'd enjoy her nonfiction much more! Maybe I'll give Tender on the Bone a try at some point. I'm looking forward to Nonfiction November as well and agree with you that nonfiction tends to be a good slump buster! Liar, Temptress, Soldier, Spy busted a recent slump of mine. Yeah, I've heard mixed reviews about Delicious. I think memoir is more of her sweet spot. I'm glad you said that about Liar, Temptress! It went onto my ereader yesterday. I loved Smoke Gets In Your Eyes! It's probably going to by my "best book" for this post, as well. Amen sister! I hope she writes more! I keep running into the Wonder Woman book and am tempted...it's one of the few shows I remember watching as a kid. I will always associate Wonder Woman with Lynda Carter. Me too! I was obsessed with that show as a kid. More Wonder Woman! Ahhhh the Wonder Woman book has been on hold at the library forever, but it's not even active yet. Still waiting on copies to be purchased I guess? Very sad. I do have a pile of nonfiction books I'm in the middle of though, so should be a great month anyway (Bad Feminist, Exotic Appetites, a book on birth control). Probably so, but what a bummer! I hope it comes through soon, Amy! I have a few unfinished nonfic books on my own stack. Bad Feminist is at the tippy top! Those sound like very different favourite books! I have to admit I'm most curious about Tender at the Bone even though I am not what some would call a foodie. Still, somehow the subject intrigues me from time to time. I'm also very curious to learn more about the Wonder Woman book! I love both your favorites! I have so many I nonfiction books I want to read, but also have that malaise I always get this time of year. I'm really hoping reading nonfiction helps me out this year. The Secret History of Wonder Woman sounds intriguing!! I also have Smoke Gets In Your Eyes on my list (created from this week). I loved Tender at the Bone and have been meaning to read more Reichl as well. I never really noticed, but I think nonfiction is great a slump busting for me, too...it's just really great for helping me mix things up or refocusing me. Can't wait to see everything you have in the works for Nonfiction November! I have to confess to not knowing about any of these three books - are they all US titles? I mostly read Australian, Asian or European non-fiction, although I read the ocassionaly US memoir/bio of favourite authors. 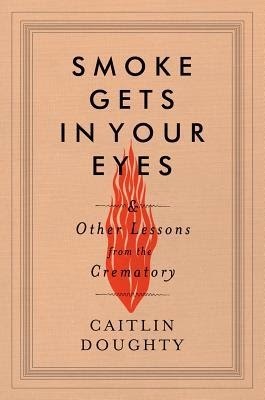 The crematorian book sounds rather fascinating! Wonder Woman! That sounds exciting! I'm so curious about the Wonder Woman book! I'm excited to hear what you think. I'm glad you're joining Nonfiction November! I put that Smoke book on the list right after reading your review, and I really need to get on top of that. I've been seeing The Secret History of Wonder Woman everywhere lately. Somehow I missed out on watching the show but I hope you love it! I hope so, too! It's pretty dense, so we'll see how it goes with my current reading moods (fickle). Wait, did you not read Empty Mansions this year? I thought you loved that book. I'm so excited to get my hands on The Secret History of Wonder Woman. I recently read another bio type book about WW (Wonder Woman Unbound) and while I learned a lot I'm even more excited to read this one. I have a good feeling about it for some reason. Reader's intuition? Have a great nonficnov! Hoooooooray for nonfiction! I also didn't love Delicious!, but would definitely give Tender At The Bone a try. I love reading books about food and eating. 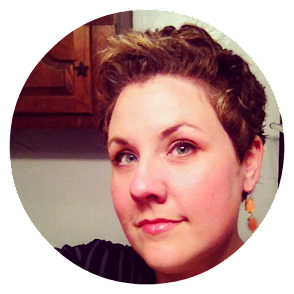 Hope this event helps you get motivated to read more nonfiction! The Wonder Woman book is on everyone's tbr list! I'm adding it to mine too. I want Wonder Woman!! I'm going to be stalking you for that particular review, my dear! I can't believe I'm still on hold for Smoke Gets in Your Eyes. Must be popular at my library - I've been on hold for about a month now! I recently finished Unbroken and really enjoyed it, but now I am listening to The Last Lecture. I find myself in tears going to and from work. I'm not officially participating in the event, but I'm hoping to get in one more before the month is over. I just finished my review of The Secret History of Wonder Woman. The organization wasn't my favorite, kind of all over the place, but lots of interesting stories! Smoke Gets in Your Bones and Tender at the Bone sound so great. Thank you for joining in Nonfiction November and for being so enthusiastic!